Modern, clean, well-maintained & furnished with everything you need for a holiday. Delicious hot & cold breakfast buffet for $13.00. Metered Parking on street is relatively easy and free between 7pm & 9 am. We stayed six nights and thought the apartment was excellent. It was clean and quiet and furnished with everything we needed. The location was great and the staff was friendly and helpful. We loved the assortment of newspapers each day and the afternoon pastries. The staff was very nice and attentive. The studio is quite big and comfortable. I was on the top floor so there were lots of light and a view of the Eiffel Tower, nice at night. 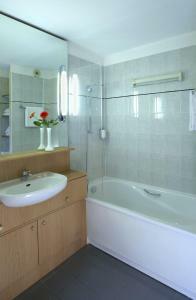 Great location near Bastille, many convenient stores nearby. 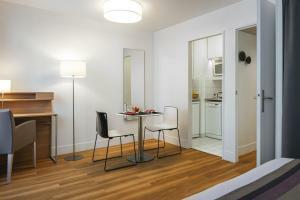 Great location, close to several Metro stations, and reasonable walking distance from La Marais. The room was big and clean with all necessary equipments. We were very impressed with this apartment hotel, our apartment was great, staff very helpful, reception area very welcoming, room was big, comfortable and clean. The people on the desk were very nice and helpful. A lovely place to stay and a great location. We loved having the well-stocked kitchenette, the beds and pillows were very comfortable, staff was friendly, it was close to supermarkets, 2 within a 2-minute walk, lovely park across the road, the metro station only a few minutes walk away and the most amazing markets twice a week also on our doorstep! Free water, tea, and coffee from the breakfast room were available throughout the day and evening as was any leftover pastries from breakfast. The breakfast buffet is extra but was extensive and well priced. The room was spotless and spacious and the pull-out sofa for our two daughters was perfect. We loved our stay here, would highly recommend and wouldn’t hesitate to stay here again if we are ever lucky enough to return! The staff and the room were great. There are all the shop you could need nearby as well as a bi-weekly market. It’s near to four metro lines to start a trip to anywhere more efficiently. Staff was great. Room layout good. Shhets and towels were clean. Facilities are wonderful, like a small efficiency or 1bdroom apt. There is under ground parking, internet is very good throughout. Staff are delightful and the neighborhood is awesome, not so crowded and very well kept. Breguet-Sabin metro stop 2 blocks away, Franprix (supermarket) around the corner. We loved having the kitchenette so that we could have some meals in the room. There is lots of community space on the ground floor- breakfast room, lobby with couches and large screen tv. There are laundry facilities in the hotel and a grocery store around the corner. The rooms are very large and we loved our view over the Blvd. Richard Lenoir. It was a great place! Coffee, tea and hot chocolate available 24/7. Croisants on offer in the afternoon. 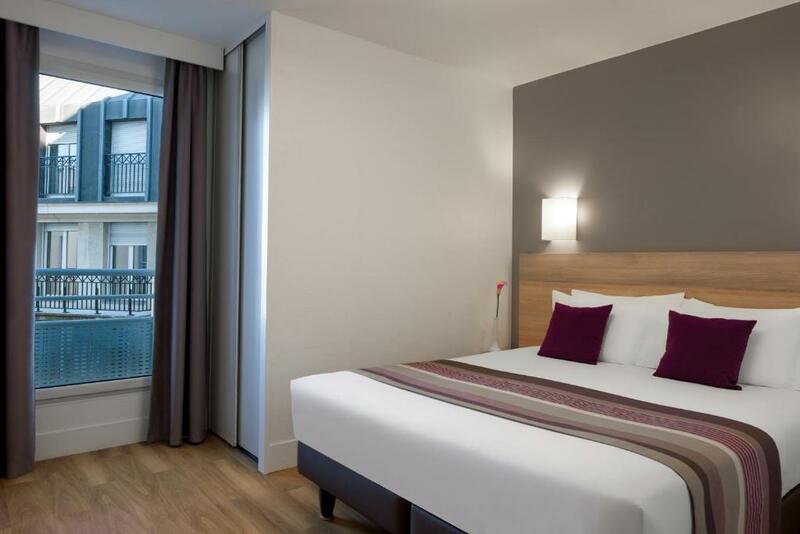 Lock in a great price for Citadines Bastille Marais Paris – rated 8.2 by recent guests! One of our top picks in Paris.The Citadines Apart'hotel Bastille Marais is located a 10-minute walk from both Place de la Bastille and Places des Vosges. The residence offers self-catering accommodations with free internet access. They all have a bathroom, an equipped kitchen and a seating area. Guests at the Citadines Bastille Marais Paris have access to additional services such as breakfast, business center and airport shuttle service. Other services such as meeting rooms and a car park are available at this apart'hotel. The reception is open 24h/7. 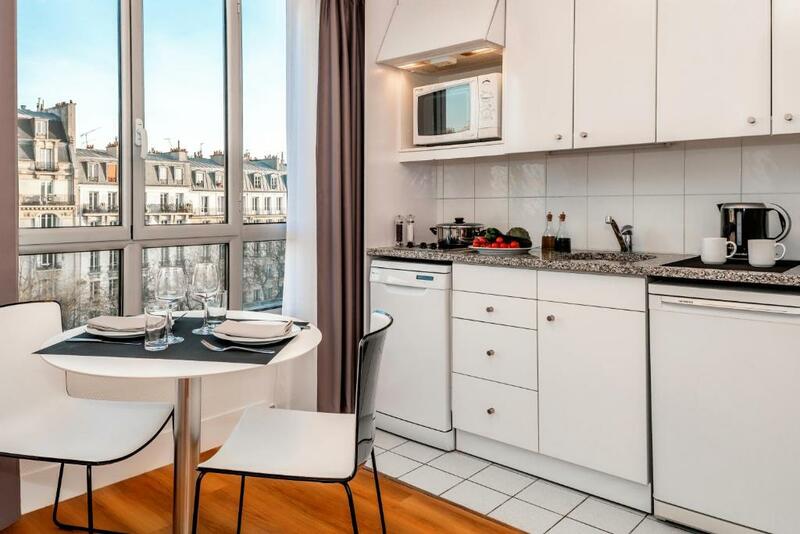 Citadines Bastille Marais Paris is 12-minutes away from Place de la République by public transport Bastille Metro Station is 8-minutes away by walk, providing direct access to the Louver Museum and the avenue des Champs-Elysées. 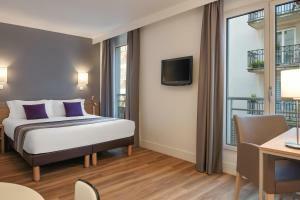 When would you like to stay at Citadines Bastille Marais Paris? This studio features a dishwasher, electric kettle and satellite TV. 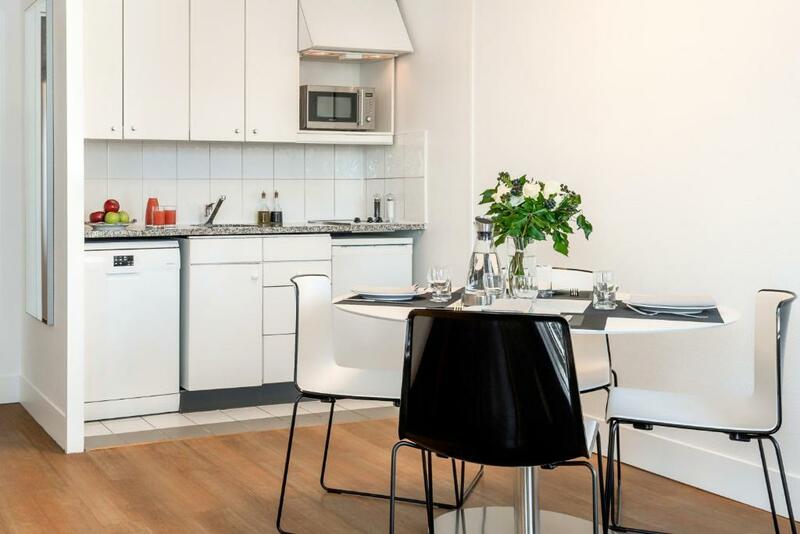 This apartment features a satellite TV, kitchenware and toaster. This studio has a electric kettle, satellite TV and seating area. This apartment features air conditioning, stovetop and seating area. House Rules Citadines Bastille Marais Paris takes special requests – add in the next step! Citadines Bastille Marais Paris accepts these cards and reserves the right to temporarily hold an amount prior to arrival. The bed was very comfortable. The room didn't look like the pictures unfortunately. Good apart hotel, good size rooms, clean, nice staff, good location. We have enjoyed our stay a lot! Some staff (morning shift) could use a little smile. Great Studio & Friendly Staff & Perfect Location close to work! Very convenient and good value for money. The apartments are within walking distance from most places of interest and the metro is close by. Staff were helpful and efficient making sure that requests were attended to promptly. Good eco credentials as well with chemical free products in the kitchen and bathroom.